Sleep deprivation is associated with a host of health conditions to include diabetes, obesity, cardiovascular disease and depression. Lack of sleep suppresses immune function and disrupts normal metabolic processes like regulating our insulin levels and our stress levels. 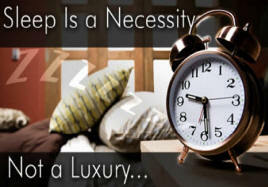 Often times just by improving quality and quantity of sleep we are able to improve our overall health. Contrary to popular belief and according to the Centers for Disease Control an adult should be getting anywhere between 7 – 9 hours of sleep each night. Quantity and quality of sleep can be improved by following a regular sleep schedule and by ensuring that our nutrition and other needs are being met. Nutritional deficiencies can contribute to impaired sleep which in turn can lead to fatigue and various other health conditions. There are a host of nutrients that if deficient might contribute to insomnia: Biotin, Calcium, Folic acid, Magnesium, Pantothenic acid (B5), and Potassium just to mention a few. Sugar consumption alone can contribute to nutritional deficiencies which may lead to insomnia and fatigue. Caffeine can interfere with sleep patterns and should be consumed in moderation or avoided all together if insomnia has become chronic. Daily stress can also be a major contributing factor to insomnia and fatigue. Stress stimulates hormones which speed up heart rate, increase blood pressure, and constricts blood vessels, slows digestion and releases glucose into the body for energy. After periods of prolonged stress the body basically resets the “threshold” for stress much higher and makes it much more difficult for us to unwind and relax. 1. Eat plenty of fresh organic vegetables, high quality protein (free of antibiotics and hormones) and fruits in moderation. If you choose grains opt for whole grains. Avoid processed and refined foods. 2. Eat a high protein breakfast and lunch while choosing a lighter meal in the evening. Avoid high protein meals at night and eat your evening meal early enough to allow at least 3-5 hours of digestion before you plan on going to bed. 3. If digestive issues such as gastrointestinal esophageal reflux disease (GERD) or chronic indigestion are a concern consider addressing these conditions which can contribute to fatigue and poor nutrient absorption which in turn can impair sleep. 1. Exercise helps to reduce stress as well as enhance mood. Getting outside in bright light also suppresses the production of Melatonin. Melatonin is a hormone that regulates sleep. Increased production of Melatonin helps us to sleep while lower levels prevent sleepiness. 2. Body temperature normally decreases in the evening preparing us for sleep. Avoid strenuous physical activity in the evening before bed as the exercise will increase body temperature therefore interfering with our ability to get to sleep. 1. When under stress the body is depleted of certain nutrients; In particular the water soluble vitamins B and C are the first to be depleted. The B vitamins are essential for nourishing the nervous system. Magnesium is another nutrient which is often depleted. Magnesium can aid in stress reduction by helping to relax smooth muscles that are contracted and tense. 2. A “neutral” bath (92-97°F) can help ease tension, reduce stress and improve sleep. By adding Epsom salt to your bath you are also increasing your magnesium intake. 3. Progressive Muscular Relaxation is useful for relaxing your body when your muscles are tense. First, tense up a group of muscles so that they are as tightly contracted as possible. Hold them in a state of extreme tension for a few seconds. Then, relax the muscles normally. Then, consciously relax the muscles even further so that you are as relaxed as possible. 4. Essential oils are concentrated plant extracts which are often employed to help with various health conditions to include stress. Essential oils such as Lavender, Ylang ylang, Clary sage, Geranium and Sandlewood may be used in various applications to help reduce stress. Any of these oils may be used in the bath, combined in a massage oil or placed on a cloth and inhaled as a means of helping to reduce stress. 5. Take a nap! Laying down and taking a twenty minute nap during the day not only helps reduce fatigue, but also helps to lower Cortisol levels. Remember, Cortisol is a hormone which is produced when we are stressed. 1. Dim down the lights about an hour before you intend on going to bed. Make sure that you are sleeping in a dark room. 2. Avoid loud or stimulating activities at least an hour prior to going to sleep. Do not try to fall asleep while watching TV. 3. Ensure that you are getting in bed early enough to allow yourself at least 8.5 – 9 hours of sleep each night; Even if that means going to bed earlier, your body will thank you. 4. Keep the temperature of the room cool so that your body temperature also stays cool. Herbs can be wonderful adjuncts to the above mentioned suggestions. However, if you are not eating properly, not getting exercise and burning the candle at both ends you shouldn’t be surprised if the herbs don’t seem to be doing the trick. Herbs should be taken in combination with healthy diet and lifestyle modifications. Because we are all unique there is not a “one size fits all” herbal sleep aide. 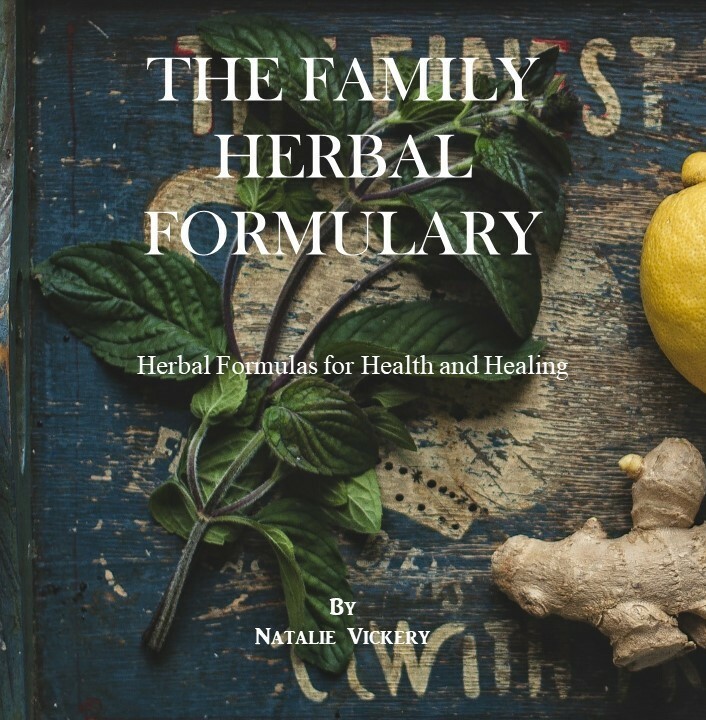 It is best to work with someone who is knowledgeable in the use of herbs and let them help determine which herbs might be right for you. Some herbs which may be used to enhance sleep are as follows. Skullcap (Scutellaria) – acts as a nervous system tonic; larger doses help to induce sleep in some individuals; good addition when there is pain which is keeping someone awake. Valarian (Valeriana) – is as effective as Valerian in helping someone sleep. (Bergner); indicated for those feeling anxious and when pain is keeping them from sleeping. Hops (Humulus lupulus) – fairly strong sedative which may leave one feeling groggy upon waking; may be considered when there is digestive upset. Catnip (Nepeta cataria) – A great herb for kids or elderly who are finding it difficult to sleep. Nutmeg (Myristica fragrans ) – long acting sedative for someone who is having a hard time staying asleep; should be used with caution as large doses or use with certain medications is contraindicated. Passionflower (Passiflora incarnata) – used when there is restlessness and nervous excitability. Chamomile (Matricaria recucita) – mild sedative used when there is digestive upset and someone feels whiny. California Poppy (Eschscholzia californica) – best used when there is muscular skeletal pain. Jamaican Dogwood (Piscidia piscipula) – for sleeplessness due to pain. Caution: Fatigue may be a symptom of a more serious condition. If you experience fatigue more than occasionally discuss this with your health care provider. Bergner, P. (2009). Vitalist treatment of acute conditions [CD]. 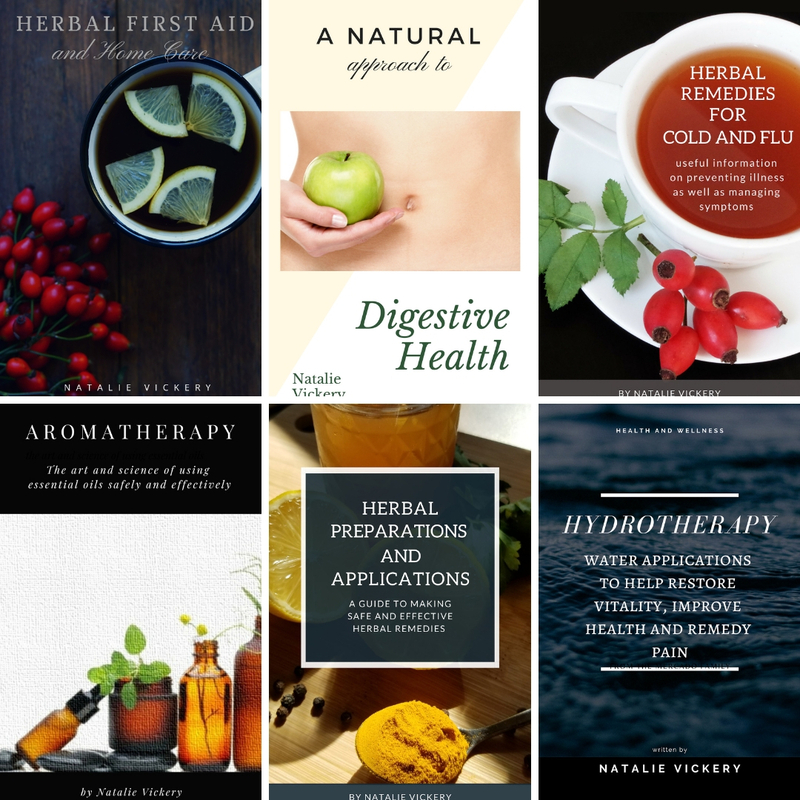 North American Institute of Medical Herbalism. Boulder, CO.
PatelSR, Malhotra A, White DP, Gottlieb DJ, Hu FB. Association between reduced sleep and weight gain in women. Am J Epidemiol.2006; 164:947-54. Thank you. This was very timely as I have been having problems with insomnia. You have given me some new ideas. Thank you Marie..I really hope this article helps. Your welcome…So glad you found the article helpful. Sleep is vital to peak performance. I always make sure i get at least my 8 hours a night. Even if I don’t struggle the next day from sleep deprivation, it definitely catches up with you in the coming days!